Jayden "Hatchet" Hatcher is the Enforcer for the Rebel Guardians MC. He hides his past behind jokes, and will do anything for the brothers he has now. Life is good with easy women and plenty of fun. Until she walks into the barbeque that fateful summer weekend. Donna Jo "DJ" Feldman is a single mom to Ralynn. On her own since she found out she was pregnant, she has a handful of people she trusts implicitly, including her best friend, Caraleigh Jensen. When she goes to visit Cara and meets the man they call Hatch, she realizes that life is too short not to reach for the brass ring. What started out as a bit of fun soon turns into so much more for the two of them. But Hatch has unknown skeletons and when they come calling, will what DJ feels for him be enough? Can they survive with the love they have for one another and with their Rebel Guardians family at their back? This is intended for readers 18 years of age and older...some sexual content, violence...etc. Everything I want in an MC Romance! This book is everything that I want in an MC romance! It is full of love, bikers, and family! It picks up where book 1, Braxton, left off, so its best if you've read that one first! DJ is a single mother, strong and loyal, and exactly what Hatch needs. Hatch is the Enforcer for the Rebel Guardians MC, and is everything good that a biker can be. He is protective, dependable, and knows what he wants. And he wants DJ. Hatch is a big teddy bear, when it comes to DJ and her daughter! The way he treats them makes me melt! 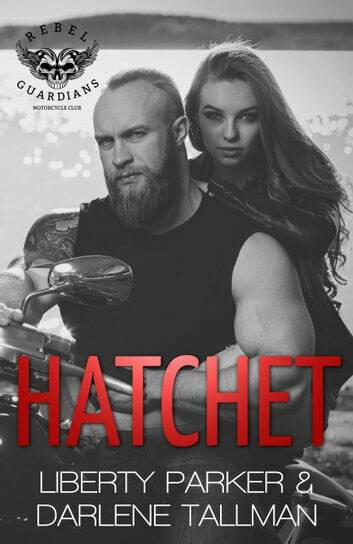 And DJ is so supportive of Hatch, even with everything that is thrown at them in this book, she really is perfect for him! This book is full of surprises, and I was totally taken off guard several times (in a good way!) These two authors have really taken the best of both of their writing styles and meshed them together to produce an amazing MC story that both left me satisfied, and wanting more! I can't wait to see what is in store for the Rebel Guardians in the next story!